I stumbled across this while driving around Midtown today. This sign is located on the SW corner of 6th and Walker. I navigated to Krittenbrink's website to obtain a better rendering, however this project is not yet posted there. That's awesome if true. 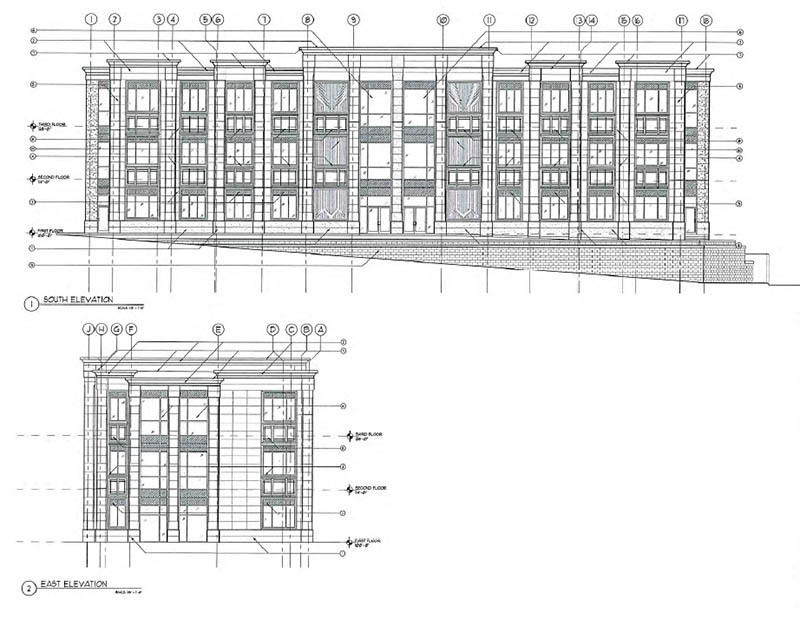 Nice infill on an empty lot. Looks like stone possibly? I like the look of that building. I'm not too familiar with the SOSA area so I just looked it up on Google Maps, and holy cow, it's amazing how many vacant lots there are in that area. Hopefully local and out of state developers see that and start buying up lots to infill it. I honestly cannot remember when a law firm has actually ponied up money and built a building. I believe that this would be a first. There was the Hunziker Legal Group on Film Row just a couple of years ago. And what a fine building they built! Doesn't even begin to cover it. Jeepnokc's building is exceptionally impressive, inside and out. Even better, so is the professionalism of each person I've met from the firm to date. Truly, truly great folk. I think that sign is brand new! I remember walking by that intersection a few weeks ago and it not being there! Looks amazing and would look great on that intersection! With it being at the top of a hill, it would be appear larger than it would already be! Maples/Nix built one on N May/155th-ish a year or so ago. Miller & Johnson law firm has proposed the construction of a new office building on a piece of property with commanding views of downtown. 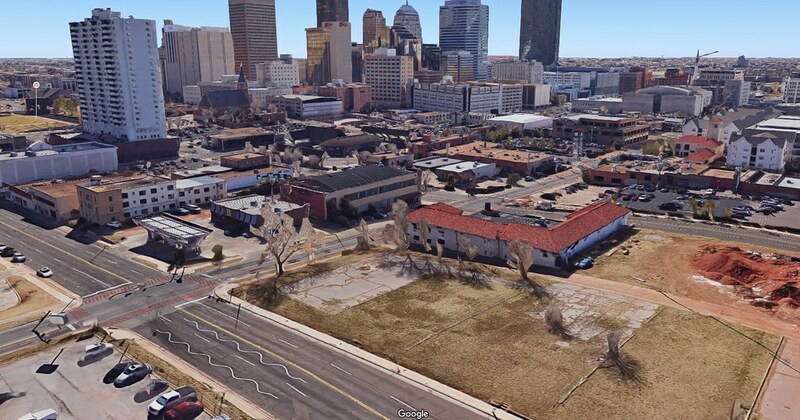 Through an LLC, the firm bought the vacant lot at the southwest corner of NW 6th and Walker last year and paid $675,000 for just under three quarters of an acre. The design by Krittenbrink Architecture of Norman features Art Deco elements and is situated to maximize views to the south. The plans show the firm occupying the 3rd floor and leasing the remaining two; Miller & Johnson is currently located at 1221 N. Francis. 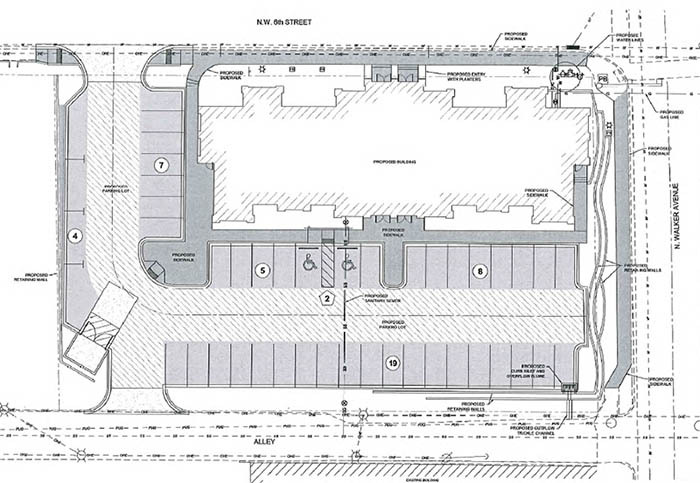 The Downtown Design Review Committee will review the proposal in its November 17th meeting. Walker in particular is really starting to fill in now. See, people do still know how to create something that has a classic design with a modern touch. Yep. 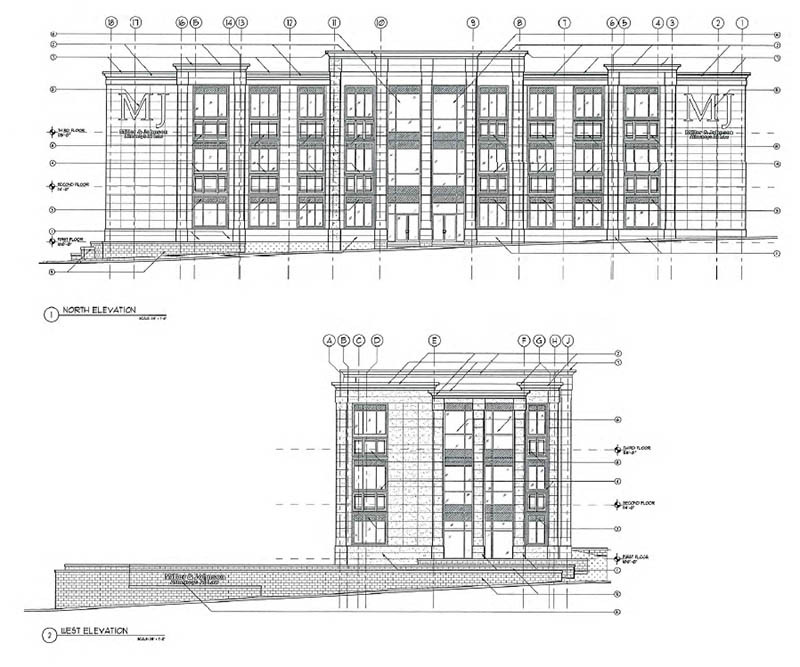 This and 701 Hudson are going to look great. I like that the building faces the street and not the parking lot, and I like that the parking is behind the building. I do wish that they'd do away with the landscaping along the street and push the building directly to the sidewalk. That being said this could be much much worse. Oh man, I really like the look of this building! Finally something with character and style. Would like to see some retail but even without, this is looks really nice. I always thought this lot would make for a good 10 story apartment building with retail on the ground floor just because of the views from that sorta hill it's on. From street level looking west, is there just going to be a containment wall along the sidewalk? The building looks awesome. The two giant MJ's on the north side seems excessive, but not unusual for a law firm haha. It looks like there is leaseable space on the first and second floors so maybe there will be some kind of retail component. As a nearby resident, It would be a welcome addition to my walk to work and a convenient location for food, beverage or every day goods. 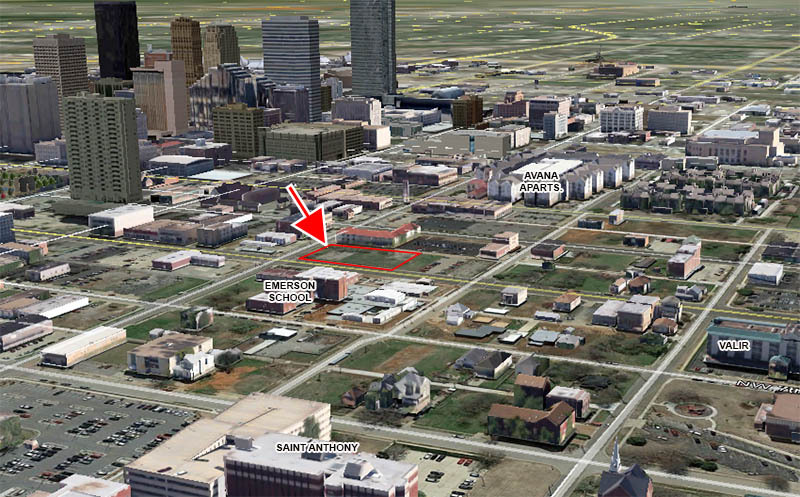 As sosa develops there will be many more people in this area who will be within walking distance. Regardless, it'll be great to have this corner filled. I guess I am the odd man out here. I think it is a nice enough looking building but it reminds me of a suburban hotel design. The typical 3 story Hampton type hotels. It may be that it isn't pushed to the street and has landscaping instead. Can't quite put my thumb on it.